It seems to be a good molt, but some kind of clumsy, young notes now and then slip everywhere, the bitterness is also a bit much, everything is unbalanced. Open, dry, grain, planed boards, prickly mineral notes, cardboard, industrial textiles, daikon, cabbage, dry herbs, wet wool, sweet caramel shades. Powerful, saturated, tart oak, grain, pepper wave, cardboard, dry herbs, mineral-metallic taste, engine oil, burnt plastic. Spicy, warming, oak, herbal and herbal notes, tablet bitterness. 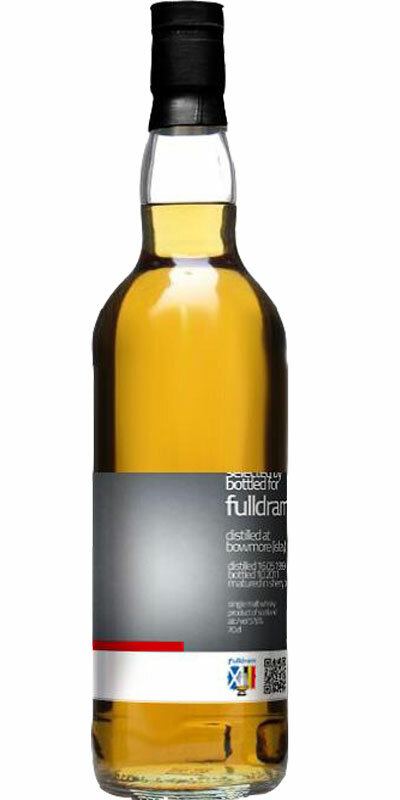 Bowmore club bottling for Fulldram. on the other. Very entertaining. could do with a bit of water, but my sample is gone before I get round to it. The finish is intense, long and a battle between sweet and salt. Oh, my!